We stopped at a tofu/soybean snack shop and got tofu-fa (豆腐花) to cool down. We actually went when the shop was closing, so we ate it quickly before heading back outside. 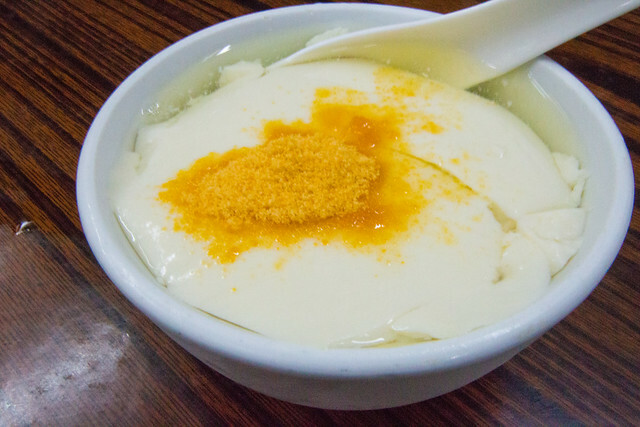 Tofu-fa (aka tofu/soybean pudding, doufuhua/douhua) is a classic Cantonese dessert (tong sui), which is basically soft and smooth tofu with sweet ginger syrup. 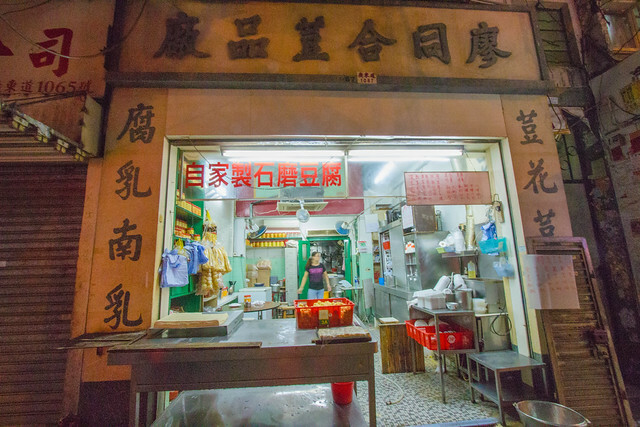 In Hong Kong, there’s candied ginger available on the table for you to sprinkle onto your tofu-fa, if you want to sweeten it a bit! Tofu-fa can also be eaten hot or cold. It’s a great dessert to cool down when eaten cold, or to warm up when eaten hot!